MARTA plans to give downtown riders more travel options with new acquisition. 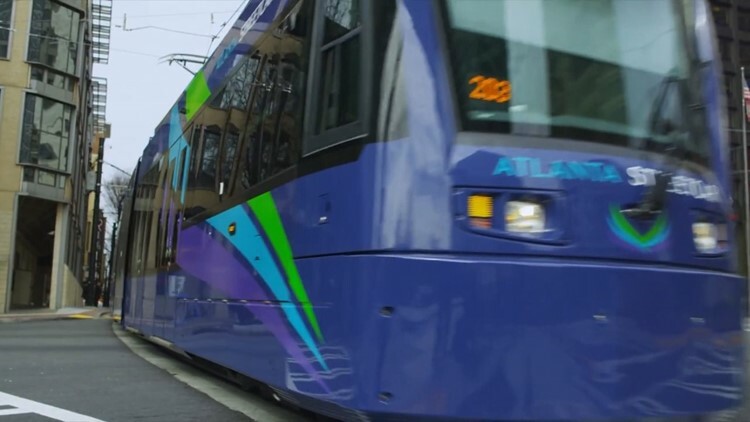 Atlanta — The Metropolitan Atlanta Rapid Transit Authority will assume ownership and day-to-day operations of the Atlanta Streetcar from the City of Atlanta on July 1. Former Mayor Kasim Reed said earlier that the four-car light rail system is being absorbed into MARTA as part of a $2.6 billion expansion. Chief Operating Officer Rich Krisak, in a news release Tuesday, says the acquisition will offer another safe and convenient mode of travel to people moving through downtown Atlanta. The MARTA board of directors hasn't yet decided how much it will cost to ride the streetcar, which runs on a 2.7 mile (4.34 kilometer) route that includes Centennial Olympic Park and the King Center. Other operational decisions such as service frequency and route expansion will be made after the transition is complete.